Highland Holidays offers camping & caravanning facilities in Whitebrook, Monmouth in Monmouthshire in an AONB in the Wye Valley. The camping and caravanning site has uninterrupted panoramic view across the beautiful Welsh hills this is truly an unspoilt little corner of the world where you can truly relax and leave the stresses and strains of city life behind you. 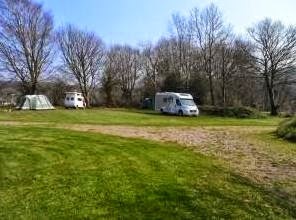 The site offers ten pitches and also hard standing for motorhomes/caravans.